‘A truly kaleidoscopic feat’ Susie Dent. Become an expert, with the most respected and in-depth book on the market on how to solve crosswords. 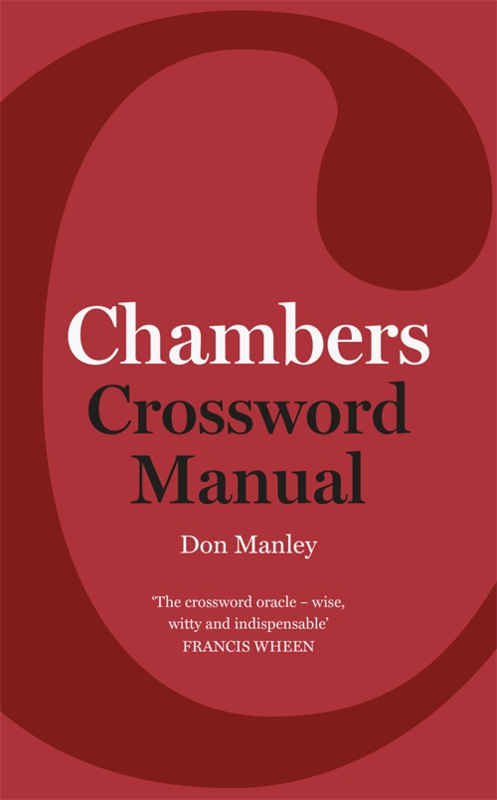 Acknowledged as the definitive work on modern crosswords, Chambers Crossword Manual is an essential handbook for all crossword fans from beginners to experts. It is packed with practical advice on solving crosswords, as well as many practice crosswords. The most respected crossword book on the market, with incredible endorsements, and a foreword by Colin Dexter. Don Manley is one of the UK’s best-known crossword setters, and is one of only a handful of people to have set crosswords for all five major broadsheet newspapers. Chambers is a highly respected crossword brand with other market leaders including the Chambers Crossword Dictionary and Chambers Crossword Lists.